If you are looking for a long-lasting, dependable, performance-forward pickup truck, it’s hard to outshine the 2018 Chevy Silverado. The Silverado delivers best-in-class performance, dependability, and durability in one of the most reliable and longest-lasting full-size pickup trucks available today. The Silverado won the J.D. Power award for “most dependable large, heavy-duty pickup” three years in a row. The 2018 Chevy Silverado offers the best-in-class available V8 horsepower, best-in-class available V8 fuel economy, max available towing of 12,500 LBS, and available 4G WiFi from OnStar. There is an extensive list of available interior and exterior accessories, cargo bed options and more so you can customize your vehicle and make the Silverado your own. The 2018 Chevy Silverado offers several special edition options for those who really want their truck to stand out in a crowd. Whether you need a truck that is strictly for work, or you need one that doubles as a recreational weekend warrior, the 2018 Chevy Silverado is the answer to all of your full-size pickup needs. Chevrolet knows that towing and hauling are a huge part of what you need a full-size pickup truck to accomplish. The 2018 Chevrolet Silverado is proof that they also recognize how important having all of the control possible is while you are towing. Advanced braking systems give the driver the control they need over their truck. Diesel Exhaust Brake Technology uses engine compression to reduce the amount of conventional braking needed whole towing or driving downhill. The integrated trailer brake controller is an available option that helps provide control and easy monitoring of your trailer brakes. Auto grade braking assist you with braking on long downhill grades by initiating transmission downshifts. The Silverado also features 4-wheel disc brakes with duralife rotors. The featured brakes increase hardening to help prevent warping and provide corrosion resistance to help extend rotor life. Along with great brake control, you’ll want to be sure you can see all of the angles of your Silverado and the load it’s hauling for ultimate safety. The EchoMaster Trailering Camera System has four cameras that help eliminate blind spots and enhance your ability to line up your trailer and hitch while reversing. This system is dealer installed and also helps you to keep an eye on cargo you may be towing. Silverado’s rear vision camera is an available safety technology that provides dynamic guidelines that can help you when backing up or hitching a trailer. Available trailering mirrors offer integrated LED rear guidance lamps that improve your visibility while backing up. All of these features combine to make the 2018 Chevrolet Silverado not only one of the most capable full-size pickups on the road but also one of the safest when it comes to towing and hauling. The interior of the 2018 Chevrolet Silverado was designed for comfort whether on the job or for recreational trips. The Silverado is both comfortable and functional and delivers best-in-class design. Multiple features raise the bar on usability and driver experience aboard this 2018 Chevrolet Silverado. For convenience, steering wheel controls are available to answer phone calls, manage the MyLink display, and cruise control. Multiple USB ports and an available wireless charging pad for compatible smartphones make charging your tech easier and more convenient than ever. An available 110V power outlet further enhances power capabilities. Chevrolet MyLink with a 7-inch or available 8-inch diagonal touch screen display adds intuitive access to compatible device. Firm foam seats offer unmatched comfort, and sound deadening materials plus an inlaid triple-sealed door make for a super quiet cabin ride. Keep cargo secure with available upper and lower tie-down hooks rated to secure up to 250 LBS. each. Available LED bed lighting enhances visibility when you need to move stuff around in the dark. An available factory-installed spray-on bed liner adds a permanently bonded layer to your cargo box. This water seal finish is an effective way to provide damage prevention to the back of your truck. A class-exclusive corner step rear bumper lets you get in and out of the cargo box easily. 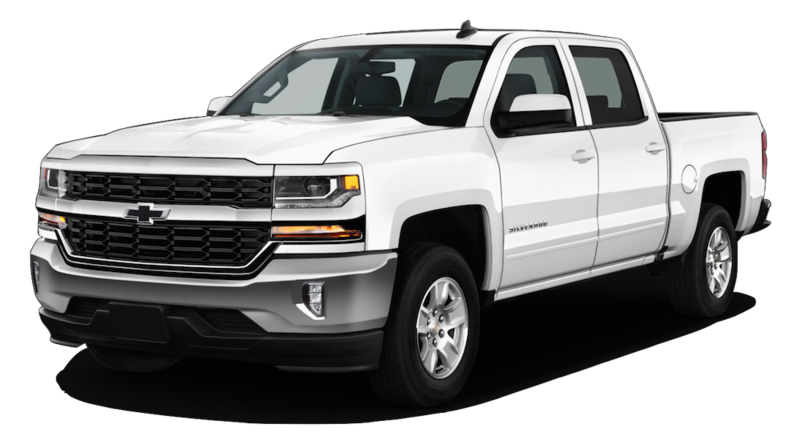 Whether you are purchasing a 2018 Chevrolet Silverado for work or leisure, you’ll want to check out the available accessories that can customize your vehicle. Options, such as trailers and hitches, side mounted toolbox options, cargo net covers, bed extenders, bike frame adapter additions, and tie-down systems are all available for the 2018 Chevrolet Silverado. The Silverado has a max available towing of 9,400 LBS which makes this pickup a strong performer for towing anything from recreational vehicles to work equipment. With 420 max horsepower and a max available torque 460 LB.-FT., It’s safe to say that the Chevrolet Silverado is a powerful truck. An available Tow/Haul mode option adjusts transmission shifts to reduce shift cycling when towing or hauling heavy loads or driving steep grades. Hill Start Assist gives you extra time to switch from brake to gas without roll-back. Stabilitrak with Trailer Sway Control detects unwanted trailer movement and puts pressure on the vehicle and trailer brakes to bring everything back to where it belongs. Digital Steering Assist makes hauling and trailering easier with electronic controls that are made to enhance road holding and stability on highways. Available special editions provide nice upgraded performance and capability features. Both the Colorado and Silverado are available in the Centennial Edition, and spray-in bed liner with logo design is also available. Additional touches like Centennial Edition badging on floor liners, Centennial Blue exterior, and 22-inch premium Silver-Painted wheels with chrome inserts add that extra bit of luxury to the Silverado. The first-ever Silverado Redline brings a dynamic style to your 2018 Chevrolet Silverado with striking red and black accents. The Redline special edition features 20-inch black wheels with red accents, black Silverado badges with red accents on tow hooks and outlines. This Redline option also gives drives features, such as detailed grill surrounds, headlight trims, and same-as-body colored bumpers in the front and rear. The Midnight Special edition offers bold black accents combined with DuraTrac off-road tires give you ultimate driving experience control. Spray-in bed liner and big, bold accents are the headliners of the Midnight special edition. 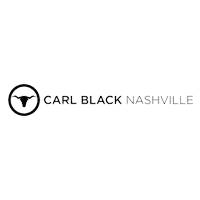 At Carl Black Nashville, we are dedicated to helping you find the perfect pickup truck to suit all of your needs. No matter what specifications you are looking for in a full-size pickup truck, we have the inventory and special edition options to help you customize your ideal vehicle. Our team is eager to discuss the incredible features that the 2018 Chevrolet Silverado offers and can get you started with a test drive today! Once our friendly sales staffs help you find the right pickup truck, you can feel confident that our professional finance team can get you set-up with the loan or lease that best suits your needs. Come visit us today at 535 Murfreesboro Road in Nashville, and check out the 2018 Chevrolet Silverado!